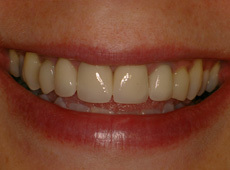 After: cerec onlays restoring the natural colour and shape to improve this smile. 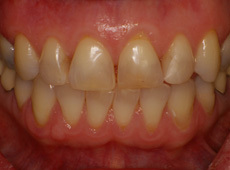 Before: older metal crowns with dark edges spoiling this smile. 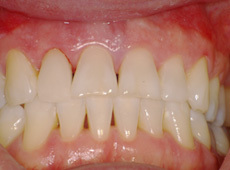 Stage 1: crowns replaced with all ceramic metal free CEREC crowns. 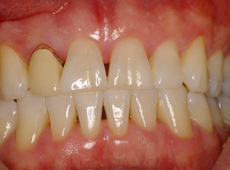 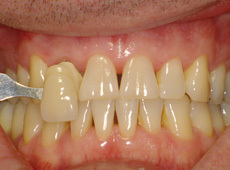 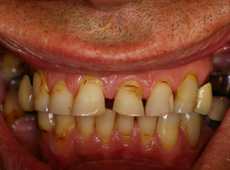 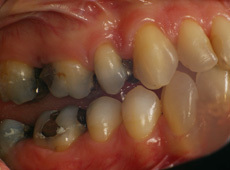 Before: poor appearance of existing crowns and fillings. 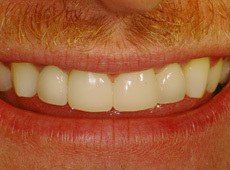 After: improved appearance following all ceramic restorations. 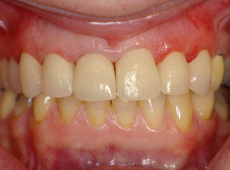 Before: poor appearance due to old style white fillings. 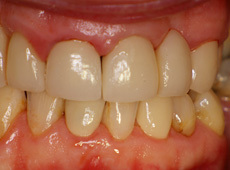 After: improved lustre from modern bonded filling materials producing a high gloss finish. 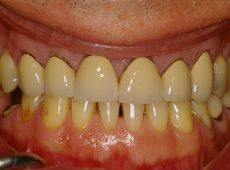 Before: poor smile, teeth missing from birth and poor denture appearance. 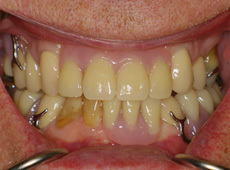 After: happy smiling patient following implant treatment and no need for denture. 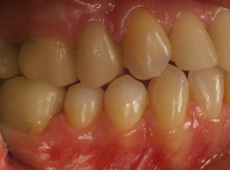 Before: unhappy with smile and unhappy with eating. 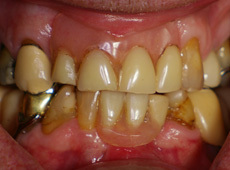 After: much improved smile and greater comfort when eating. 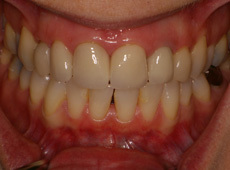 Before: poor smile due to colour, shape and shade asymmetry. 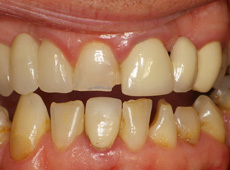 Stage 1: uniform restorations restoring harmony and symmetry to smile. 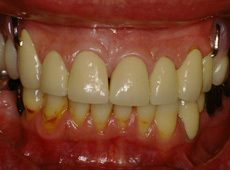 Before: worn teeth with spacing and poor shape made this patient seek our help. 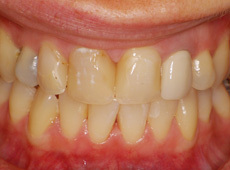 After: teeth restored to original proportions turning back the years and allowing the patient to smile with confidence. 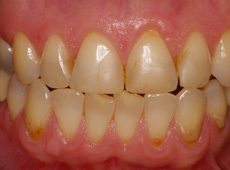 Before: presenting smile showing discolouration. 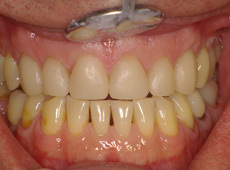 Stage 1: whitening completed and ready for crown shade change. 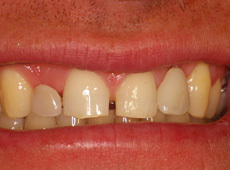 After: Finished crown matched to new tooth colour. 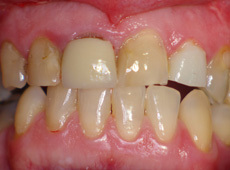 Before: varying types of tooth wear and damage which required a combination of treatments to restore harmony. 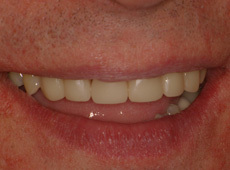 After: smile restored with crowns and veneers to produce a uniform functional smile.